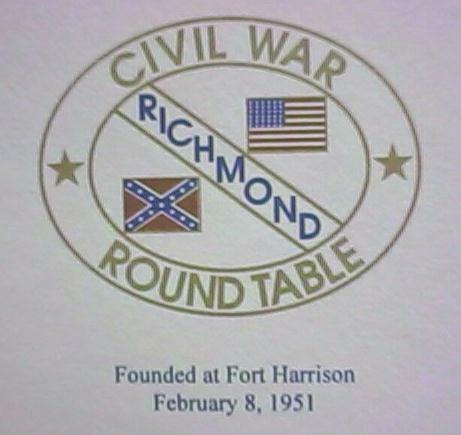 The name of this organization shall be: THE RICHMOND CIVIL WAR ROUND TABLE. within fifty (50) miles of the limits of the City of Richmond, Virginia. beyond fifty (50) miles of the City of Richmond, Virginia. members for six (6) or more years. shall be no more than five (10) Life Honorary members at any given time. and by members in good standing. in Section 1 above and more specifically in position descriptions. through December 31 or until their successors are elected. budgets, fixing of the dues and the election of officers. matters before this organization where not otherwise specified. applicants should they desire to return to membership. recommend to the Annual Meeting a slate of officers. shall not prevent their re-appointment. action of the membership and/or Executive Committee. at least fourteen (14) days prior to the meeting.